The moisturiser has been formulated with broad spectrum UVA/UVB SPF 50+ protection which combines highly effective sun filters and naturally derived ingredients chosen specifically to enhance skin health and vitality. It also contains key ingredients like pomegranate, which has sun protective compounds that shield the skin against free racial damage, pycnogenol which can help protect against photo-ageing, and mango seed butter that assists in protecting the epidermis from environmental aggressors, leaving the skin feeling silky, non-greasy and mattified. *Always read the label. Use only as directed and always wear protective clothing, hats and eyewear. Avoid prolonged exposure to the sun. Pomegranate Seed Oil, Enzogenol - (New Zealand Pine Bark Extract), Mango Seed Butter, Octocrylene, Benzophenone 3, Butyl Methoxydibzoylmethane. Only been using this for a couple of years now after my beautifician recommended the Alpha-H range to me as I was having microdermabrasion treatment. Use this everyday (except when I'm having my yearly microdermabrasion) and makes my skin look and feel fantastic! This is such a great product. 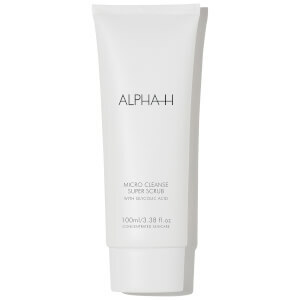 I use it everyday in onjunction with my other Alpha H products. I have very fair skin and the tint on this is the perfect colour. It sinks in very quickly and becomes matte quickly. I don't even need to wear my foundation daily anymore, i just wear this instead.